Tetrick & Bartlett, PLLC is an accounting and consulting firm serving clients throughout West Virginia and neighboring states. We are dedicated to providing our clients with professional, personalized services and guidance in a wide range of financial and business needs. With offices in Clarksburg and Fairmont West Virginia, we are committed to serving the public and business communities by providing a comprehensive selection of accounting, tax planning and tax return preparation, auditing, agreed upon procedure engagements, governmental accounting and auditing, not-for-profit organization accounting and auditing, bookkeeping services, peer review services and management advisory services. Our engagements are performed professionally and confidentially in keeping with our values of personalized service and underlying commitment to quality and accountability to our clients, employees and the public. Give us a call, you’ll be glad you did! 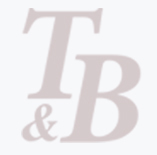 Tetrick & Bartlett, PLLC is one of the leading firms in and throughout West Virginia. By combining our expertise, experience and the team mentality of our staff, we assure that every client receives the close analysis and attention they deserve. Our dedication to high standards, seasoned tax professionals, and work ethic is the reason our client base returns year after year. © 2019 Tetrick & Bartlett, PLLC All Rights Reserved.